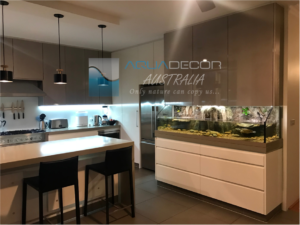 Aquariums are our passion. We have been making them for years and dreaming about wats of making them even better. 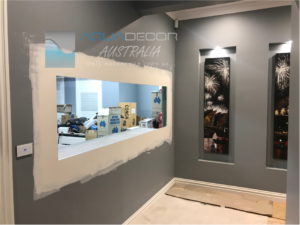 Aquadecor is finally our outlet to make our dreams come true and make our labour of love available to the hobbyist world-wide to enjoy We take our time and care into your custom dream aquarium. We will consult and advice with you to achieve your needs. 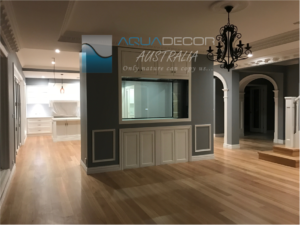 Your tanks will be built with the right materials, the right techniques and will be given every attention needed to make it a real showpiece in your home. We guarantee you will be thrilled with it. Fully polished edges is a labour intensive time consuming step that we take that many other manufacturers do not. We fully polish ALL edges, even the edges you don’t see. This dramatically increases the strength, integrity and longevity of your aquarium. We do not take shortcuts. Black silicone is used in all Aquadecor aquariums throughout, to prevent staining. 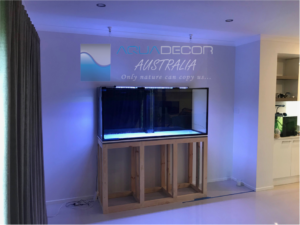 *Basic aquariums comes with: 10mm standard regular clarity glass and built in 3d background. Let us know how to get you back.